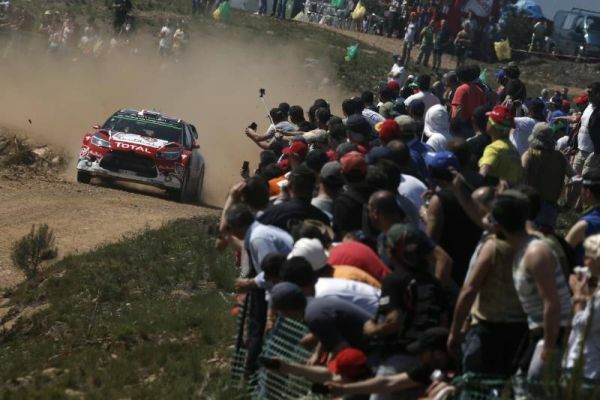 On its return to the WRC after a three-month break, the Abu Dhabi Total WRT was in impressive form on the opening leg of Rally de Portugal. Kris Meeke and Paul Nagle produced a near-perfect display to end the day in the lead, more than thirty seconds clear of their closest challengers. Stéphane Lefebvre and Gabin Moreau also delivered a very fine performance, which left them in sixth place in the overall standings. Meanwhile, Khalid Al Qassimi and Chris Patterson ended the day in sixteenth position. Following Thursday evening’s ceremonial start held in front of the Castelo de Guimarães, the crews contested the opening super special stage on the Lousada rallycross circuit. This morning, the cars headed for service to fit soft Michelin LTX Force tyres, well suited to the slightly damp conditions that lingered on the gravel roads. More than five months after his last gravel rally, Kris Meeke quickly found the right feeling in the car. He won the Ponte de Lima and Caminha stages (SS2 and SS3) to grab and then consolidate the overall rally lead. The Northern Irishman then increased his lead on Viana do Castelo to head back for Porto some 11.5s clear of Sébastien Ogier. At this stage of the rally, Stéphane Lefebvre was ninth overall. The Frenchman had lost around twenty seconds on SS3 due to a loose tyre, but he was generally happy with this pace. Within two tenths per kilometre of the stage-winning time on SS4, he had already shown he was making significant progress. After the midday service, the cars completed second runs on the three stages. Unlike most of their rivals, the Abu Dhabi Total WRT drivers opted to go with hard compound Michelin tyres. The second run on Ponte di Lima (SS5) saw a series of incidents, including a heavy crash for Hayden Paddon that left his car burnt out and led to the breakout of a fire in the surrounding forest. Unsurprisingly, the stage was cancelled before Kris Meeke came through, but he was later handed the stage-winning time by the stewards based on his run in the morning loop. Taking full advantage of his tyre choice, Kris set the fastest times on the next two stages to extend his lead to over half a minute. Continuing to combine speed and consistency, Stéphane Lefebvre benefited from racing incidents and his astute tyre choice to move up the leaderboard. Seventh after SS5, he claimed another place to grab sixth position. The day ended in a festive atmosphere, in front of thousands of spectators gathered in the streets of Porto. The crews had to complete two runs on a stage held on the paved streets of the Portuguese city. The standings remained unchanged, Kris Meeke ending the day ahead of Ogier, Sordo, Mikkelsen, Neuville and Lefebvre. Particularly delighted with the performances of his team-mates, Khalid Al Qassimi ended the leg in 16th position after having made up five places in the afternoon. 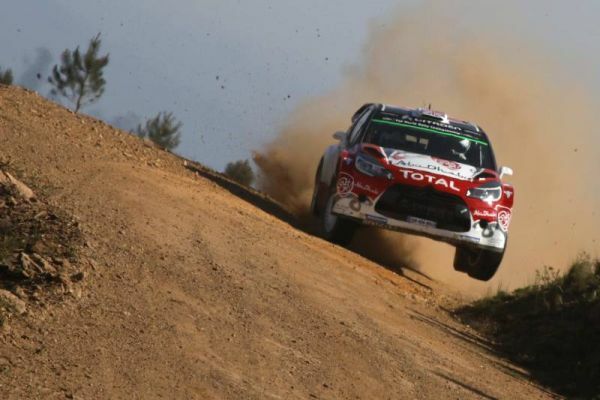 Kris Meeke (#7): “I’m very pleased at the end of this day, we were quick from start to finish. Perhaps spending the last few months away from the rallies has just whetted my appetite! We made the right call on tyre choice for the afternoon loop. After SS5 was cancelled, we just drove slowly through the stage and there was a really nasty section where Hayden went off. Fortunately, I had set a good time this morning and the time awarded by the stewards didn’t penalise me. The flip side of our strategy was being a little bit less comfortable with the hard tyres on the street stages in Porto, but it was still the best decision for the loop overall. Stéphane Lefebvre (#8): “It’s been a good day for the team and it was certainly my most solid performance to date in a World Rally Car. We had good splits, and some pretty impressive stage times. But it was very difficult on the second runs, the roads were full of potholes and rocks. I really had to look hard to see where to put my wheels in the ruts. Khalid Al-Qassimi (#14): “It’s fantastic to see Abu Dhabi Total WRT in the lead with Kris Meeke. The team deserves credit for this result. Although we are not competing in the full championship and we missed two rallies, we have come back with a vengeance. Kris is leading and Stéphane is doing a good job as well. In such difficult conditions, Kris’ performance has been incredible. As for me, I was pleased with the car.